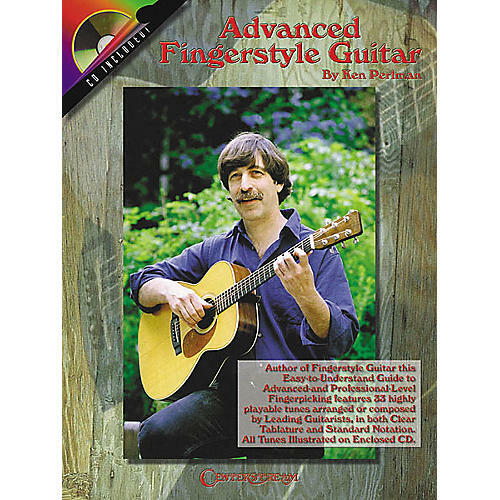 This follow-up to the popular Fingerstyle Guitar book by Ken Perlman (00000081) is really 2 books in one. To the advanced player, it's an excellent tune book featuring 33 interesting and highly playable guitar arrangements. To the intermediate player, it serves as a clear and detailed guide to the technical expertise and theoretical knowledge required to bridge the gap to the advanced level. Covers Baroque tuning, DAD-GAD tuning and much more. The tunes are organized according to genre: Alternating Bass Pieces, The Country Blues, Melodic Guitar, Fiddle Tunes, Ragtime and Chord-Melody, and all tunes are played on the accompanying CD.